Conversational Hypnosis is an art that is mostly made up of language and the ways in which you can use that language in order to impact lives in a positive manner. Precision language is a type of language that will help to create a series of conversational events in order to drive that impact home. Precision language is really a language that is made up of words that have a greater impression on people. The impact that these words create will leave your listeners working to build a stronger state of mind. The first skill that you will focus on in Precision language skills will be the ability to build a vocabulary of and use hot words in context. ‘Hot words’ are words that have a universal meaning to them that have been created from society and culture. They are words that are heavy with emotion and work to send a strong bold message that peaks interest and or curiosity. The opposite of hot words is called neutral content language and this is what doctors use to communicate with patients. This blander language helps them to create emotional distance between themselves and their patients. This is not the type of language you want to use. As a hypnotist you are walking on a path which is laden with emotional attachment. Attachment to stories, feelings and the betterment of life for those around you, to not get emotionally involved at some level would be a disservice to your patients. At the same level of the way doctors speak most people have found a way to speak differently as well. Many speak in tones and words that are emotionally disengaging. This is a type of self protection from others reactions to what they may have to say. At times it is referred to saying what is politically correct, however politically correct and emotionally disengaging are not quite the same. A hot word is a word that creates a powerful response and that is what you will need in this profession. They are also considered to be the vocabulary of the unconscious because they evoke emotion within people and this is the real domain of the unconscious mind. Remember that anytime you have an emotional response you are also having an unconscious response, this can be used in a hypnotic way to your advantage. 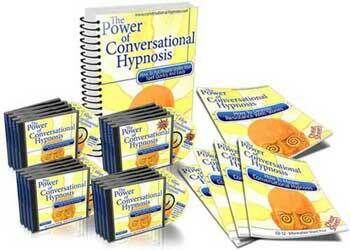 Hot words play a large role of importance in Conversational Hypnosis. This is because these words can change state of mind and move people dramatically. There are so many hot words that are hanging around us everyday that it would be impossible to list them all for you. But there are places that you can specifically find them. These are out of the mouths of politicians, teachers that move you to learn, motivational speakers as well as (believe it or not) the headlines of tabloids. Some examples of hot words that are used everyday that you probably hear are baby, murder, drug addict, and so on and so forth. Any word that evokes a strong emotion with it’s meaning on a societal level. This means it must have a strong impact on the majority of people that hear it. If you are the only one who finds a word emotionally moving that may be a personal trance word for you (we will discuss these later). A great way to use hot words is to put two or more together and create contrast with them. An example of this would be if you saw a headline on the paper that read, “A Mother’s Secret Life as a Baby Murderer”. This is a headline that is just exploding with hot words. Most of the words in the headline have an emotional meaning attached to them; mother, secret, life, baby and murderer are all important words to most people. Setting them next to one another makes the impact of them even stronger because are not used to seeing these words together and although the statement makes sense it seems unbelievable to us. A mother is supposed to have unconditional love for her children and children in general. A murderer is viewed as a part of societies wretched. Secret is always a great connector as it draws in people with curiosity; we are conditioned to want to know all the secrets we can. The bottom line is using these words together creates a very strong and powerful impact, it brings up emotions inside people. Maybe it makes them angry or sad, whatever the emotion is it is there because of the impact the hot words have created in the statement. Now hopefully you won’t be making statements like this to your subjects but words and how you use them will be pivotal in your hypnosis. It is important to have a wide vocabulary of hot words so you have a wide range of emotion evoking language to use with different people in different environments. As you discover and build your hot word vocabulary start to use them in your everyday conversations and see the different ways people react compared to the way you are used to speaking. Even though you are not using them in hypnosis yet doesn’t mean you can’t study the effect they have on people in casual conversation. It seems similar to creating confusion to throw the brain into being compelled to find an answer. While the conscious mind is distracted trying to find the answer, the hypnotist gets free access to the subcouscious mind. Very good article, especially elaborates this aspect of Conversational Hypnosis.